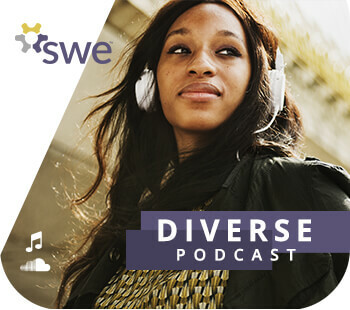 In this podcast episode, SWE President Penny Wirsing (FY19) talks to Elizabeth Loboa, the first female dean of the College of Engineering at the University of Missouri. 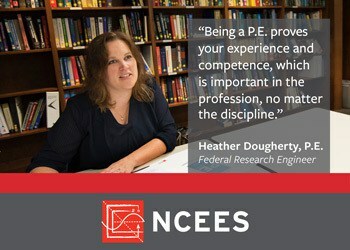 Her path wasn’t always clear, but she stayed with it — and she encourages students to do the same. Congratulations to SWE University of Illinois at Chicago (SWE UIC), winner of the second Wow! Innovation Challenge! The top three Collegiate Sections to recruit the most new C2C members through June 30, 2019 will receive SWEswag and special SWE recognition. This month, three engineers give advice on how to choose what fields of engineering to pursue in college. You’ve likely heard of impostor syndrome. There’s a 70 percent chance you’ve felt it. We asked five women engineers to tell us how they fight this feeling head-on and succeed in a male-dominated field. SWE Corporate Partner, Schneider Electric, is hosting it’s 9th annual Go Green in the City challenge. The competition tasks students from all over the world with solving some of the most critical issues within the sustainable energy sector. Winners of the contest will be awarded with post-grad job offers from Schneider Electric, and a trip to a Schneider’s Global Innovation Summit in Barcelona! Spread the news! The SWE scholarship application deadline is May 1, 2019. Penny Wirsing is the guest speaker at a celebratory International Women's Day Luncheon at Kettering University. Announcing our WOW! Innovation Challenge #1 Winner! Congratulations to SWE University of Wisconsin Madison, who partnered with Sambhali in Jodhpur, India to promote women's empowerment through STEM education and outreach!